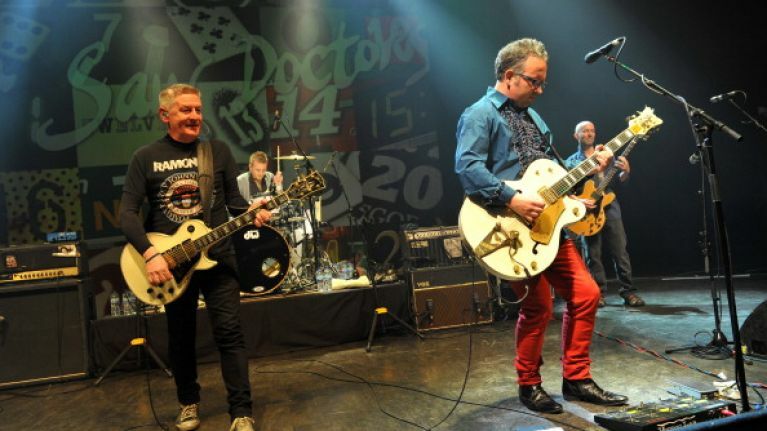 The Saw Doctors have penned an emotional tribute to the victims of the horror balcony collapse in California last week. 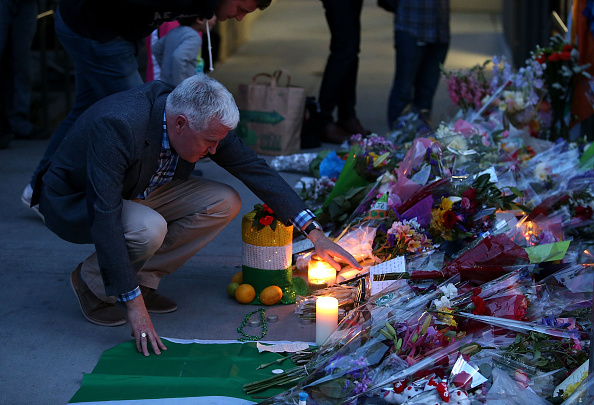 Six young Irish students were killed and seven injured in the terrible accident, news of which shocked the nation. Posting on Facebook, lead guitarist with the band Leo Moran wrote an emotional account of the excitement, fear and feeling of endless possibilities that all who have embarked on a J1 adventure will longingly remember. In the moving piece, Leo says of Ashley, Eimear, Eoghan, Lorcan, Niccolai and Olivia, "I didn’t know any of you, but I miss you. You are a loss to us all, to our little nation. You are the kind of people we need, and need to treasure." Late April, early May and the concourse leading to the lecture halls and Smokey Joe’s café in UCG would be growing quieter, the exams drawing to an end and proximity of the sun in our solar system building up a bit of heat on the oul’ brown tiles through the glass walls. The plans made, the flight booked, the paperwork done, the fee for the J1 visa saved up for and paid. Everyone else’s United States plans sounded braver and more courageous than yours – but yours were yours. We flew proudly and expectantly over the ocean on the huge bird tattooed with the Irish emblem. We fell in love with people, of course, but also with the new country - its aromas– gasoline, exotic food, sweat, the pungency of the humidity and the heat, the crickets clicking in the warm night air, the warmth of the ocean, the sweet smells of candy floss and roasted nuts. We fell in love with getting around the law that told us we couldn’t drink even though we were over eighteen. We fell in love with being tiny fish, mere plankton, in their vast ocean – but tiny as we were, we found and made our own little place there, becoming a part of its community, helped, for the most part, by those who had gone before us - whether they had made the journey a week ago or a century ago. We fell in love with the freedom, the carelessness. When we look back it seems completely careless, but it wasn’t – careless is a state of mind rarely achieved by human beings. We did care. We cared about getting a start, bringing home some money for the Winter in college, we cared about our loved ones and the ones we wanted to love, we cared about getting around safely and getting back home to the five bedroom house with twenty four lodgers, sleeping on floors and couches, at the end of the night and getting to the job again tomorrow, often to work the quieter and less lucrative shifts that are regularly given to the Summer waiting staff. We even cared about home now and again, like on a Sunday morning where we’d gather in an Irish pub to watch our county line-out in an All-Ireland semi-final, throw-in 10.15 East Coast time, 07.15 in California. We’d see the Irish August sunshine illuminating Croke Park and our fellow countymen and women smiling or wincing and for a few minutes we’d even wish we were there. We loved this country we were in, in many ways a big playground to us. And we trusted it – we trusted their roller-coasters and their trains and their cars and their buildings. And at the end of the Summer, that glorious few months in the heat and the humidity, working and playing and learning hard with joy and passion, we came home safely, almost every single one of us, carrying the thrill and the education of it forever more with us, whether we were to take off again and make a new life abroad or stay at home. Ashley, Eimear, Eoghan, Lorcan, Niccolai and Olivia – I didn’t know any of you, but I miss you. You are a loss to us all, to our little nation. You are the kind of people we need, and need to treasure. My heart goes out to your parents and your families and friends, their now having to live with a void that will never be filled. May you all rest in peace, your lives now a symbol of Ireland’s bright and energetic youth, our greatest asset, tragically lost.